In today’s increasingly complex regulatory environment, valuable insight of control failings from one financial services sub-segment can be highly applicable to another. At Corlytics, our data shows that when a regulator prioritises a specific theme, they typically follow a well-defined process. As the regulator engages with a given sub-segment, they increase their expertise in that sector. Over time, they look for and often find additional control failings within the specified regulatory theme. In 2010, the FCA’s predecessor focused on the issue of bribery in the insurance advisory space and published a thematic review. It then went on to fine several leading insurance advisors over the subsequent years. During this period, they dug deeper and deeper into the underlying issues initially, identifying staff training and third-party oversight as key issues. Later in the process, they uncovered these same issues again in peer firms but in addition, found control failures relating to record keeping and risk management. The bribery issue resulted in a total of nearly £15m in fines across four firms – not to mention costly remediation programmes. The learning within a given sector is clear. When a peer organisation is censured for a specific thematic failure, it is time to take notice and learn from their experiences. However, our data shows that organisations need to go further than that and keep track of what is happening in other segments as well. As an example, Corlytics data shows that in the UK, for thematic issues such as the management of client assets, the banking sector can be a lead indicator for other regulated sectors. The focus then shifts to asset management firms, followed by insurance companies. Over the last five years, nearly £190m in fines were levied across six firms alone, with an initial focus on segregation of assets controls in the banking sector, then moving to asset management firms and concluding with an in-depth focus on insurance. The segregation of assets issue was highlighted in all three sectors. An insurance firm was fined some four years after the initial banking sector fines for the same control failing. The good news for organisations is that other sectors can act as “early warning” lead indicators, clearly showing the desired regulatory outcomes and the necessary controls to achieve those outcomes. Organisations who understand the regulatory landscape both within their own sectors and more broadly across the financial services industry, can learn from other organisations outcomes and be more proactive in ensuring that the appropriate high priority controls are put in place and monitored for their business. Corlytics provide in depth cross-industry risk analysis. 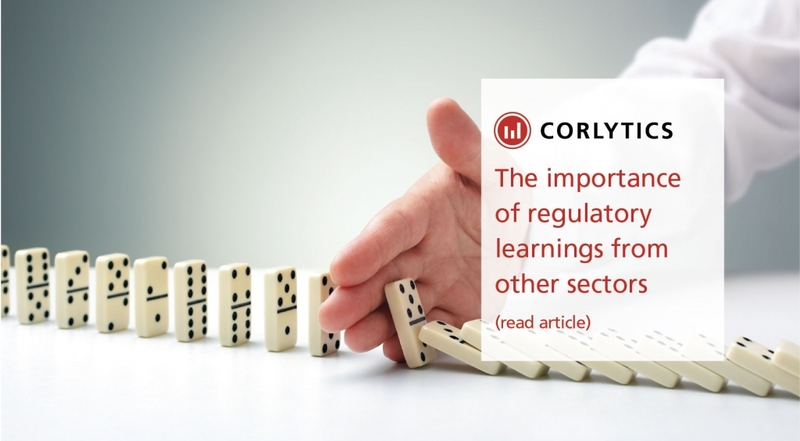 If you’re worried about your business’ regulatory exposure, please come talk to us at Corlytics.